Eric Church’s Double Down Tour truly did live up to its name on Saturday night, the second night of Church’s two shows in St. Louis. Church followed up a raucous Friday night show with another 35-song performance on Saturday night. The near sold-out Enterprise Center was on their feet for the majority of the evening, as The Chief made it known that he is without a doubt one of the top performers in not just country music, but all of music in general. Church had a little something for everyone in his 3-hour plus set on Saturday night. The man of the hour walked out to the front of the large stage, which featured a pit in the middle of it and tons of strobe lights that lit up the stage all night long. Church knows when to go simple, as he opened the show with just himself at the front of the large stage with a guitar in hand. He was soon joined by his wonderfully talented band as his song “Drowning Man,” was the show opener. Songs such as “Smoke a Little Smoke,” and “Drink In My Hand,” highlighted the 14-song first set of the show. Church did seem to forget the words to his hit, “Homeboy” in the first set, but the crowd seemed to forgive him and pick up his slack. With an extensive catalog of music like Church as it’s nearly impossible to remember every single word. Known for mixing in a cover song or two into his shows, Church went with “Doo Wah Diddy,” and “Travelin’ Man,” on Saturday night to the delight of the large crowd. Perhaps the thing that makes Church’s shows so special is the fact that not one night is the same. He embraces the unexpected and flourishes in the fact that his fans will sing along to one of his chart-toppers, while also singing along to a lesser known, deep catalog selection. That was evident on Saturday night as the crowd sang along to “Hungover and Hardup,” a song that Church admitted had not been played on the tour yet. Having seen the Chief more than a handful of times, it was the first time I can remember him playing that song as well. All in all, Church delivered another solid show in the second night of the Double Down Tour at Enterprise Center. 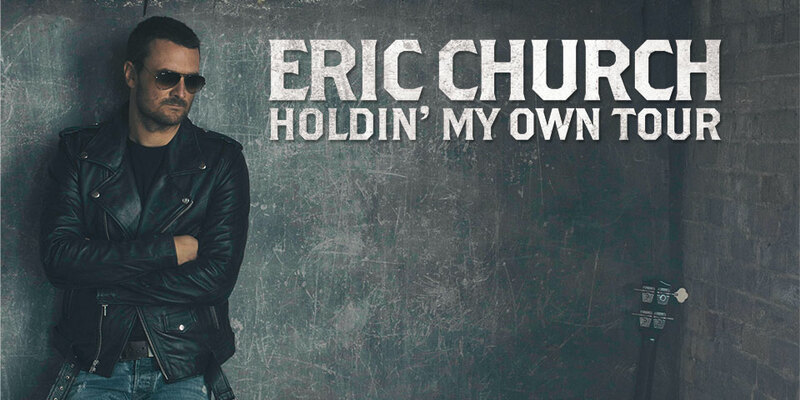 Judging by the reviews from his Omaha shows the previous weekend, The Double Down Tour is going to be a huge success for Church, who seems to be doing everything right over the last few years, becoming one of the hottest names in country music. Church’s Double Down Tour gets an A.